For the HTMI cable, I used the shortest micro-HDMI-male to micro-HDMI female cable I could find, and put the micro-HDMI female to regular HDMI male connector at the Raspberry end instead of the Lapdock end. 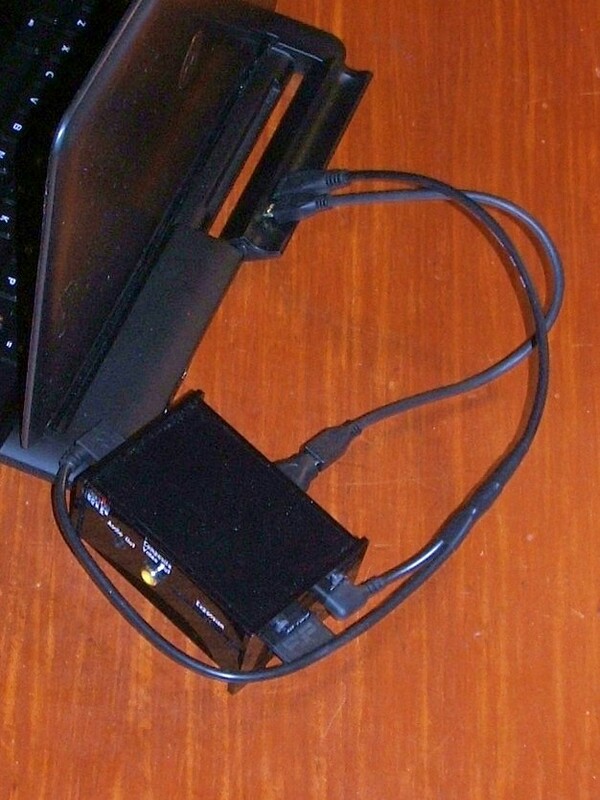 This eliminates problems with crowding at the lapdock end, where the HDMI and USB connectors are fairly close to each other. For the Y USB cable, instead of splicing one USB cable into the center of another, I bought 3 USB cables, cut off one end of each, and then made the splices. Note: With the Raspberry Pi Rev 2.0 board, it is no longer necessary to use the Y cable. A straight micro USB female to regular USB male connector will suffice. 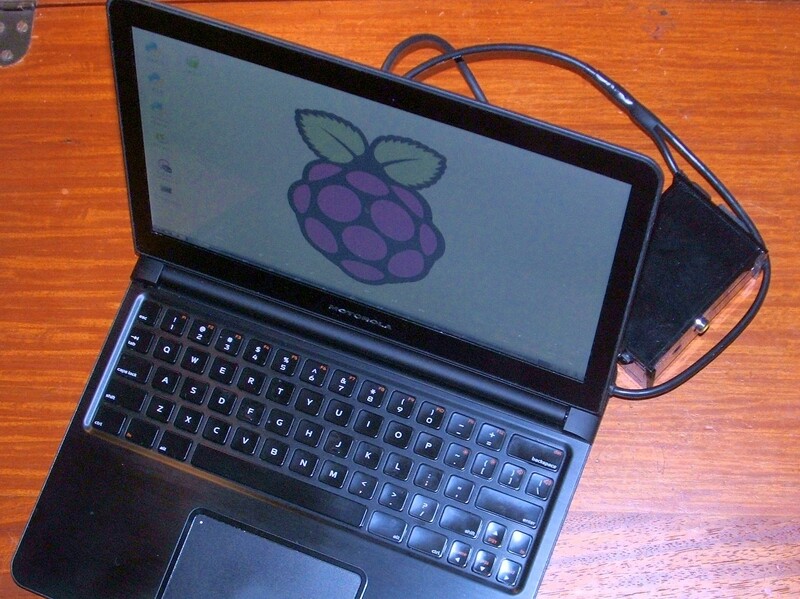 One innovation I hit on was to use right-angle connectors on the Raspberry Pi end. You can see these in the photo (click to enlarge). The make the whole setup far more streamlined by eliminating large loops of cable. The points at which the cables were cut was determined by plugging everything together and then determining the points at which the insulation would be cut (allowing about an inch for the splice) and finally cutting the internal wires an inch beyond the end of the outer insulation. Cutting and splicing the entire cable, including the data lines, made a neat result because it let me slip heat-shrink tubing over the whole thing. Each spliced wire has small-bore heat-shrink tubing on that splice, but before I began work on the little wires, I started by slipping two large chunks of heat-shrink tubing over one of the cables, one inside the other, and once the little wires were spliced, I slid these back over everything and shrunk them in place.